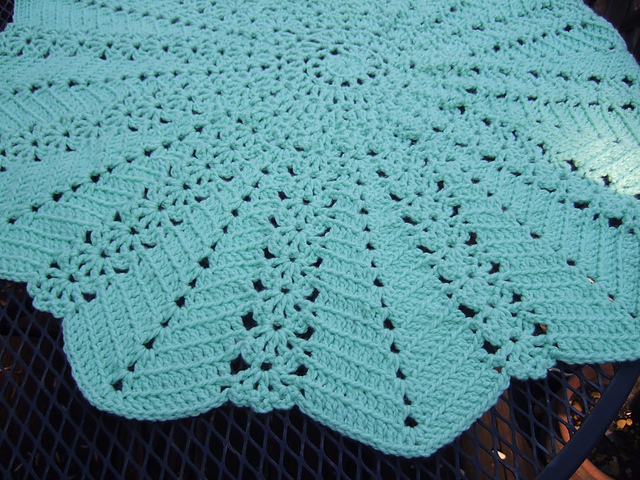 This beautiful twelve-point star blanket looks great in solid color or with various colors. 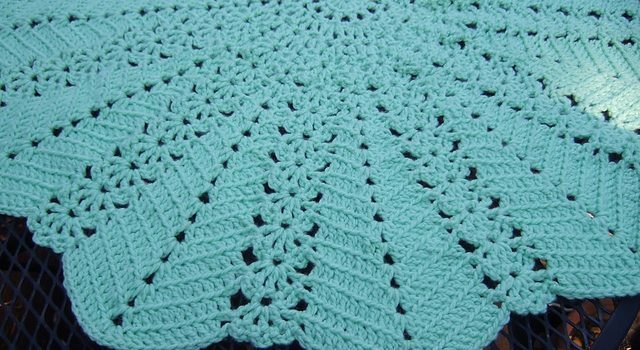 This Lacy Round Ripple Blanket pattern by Heather Tucker can be made any size from a baby blanket, to a lap blanket or throw. Perfect for stash-busting, this beautiful pattern is wonderful for any special baby in your life. Thanks to Heather Tucker for the article inspiration and featured image. This would make a nice table cloth or dollie. Look at this pattern Theresa Cassell. I’m making this one now. Using the new Lion Brand baby yarn . This skein has over a thousand yards so I will see how big it goes.